Robotic welding helps companies gain a competitive advantage over those companies that have not made the transition to welding automation. Robot welding is becoming increasingly attractive for job shops and contract manufacturers because welders can oversee the productivity of more than one robotic welder at a time. Industrial robots performance continue to grow, furthermore, now is the perfect time for small and mid-sized companies that have been waiting for a decline in robotic prices to automate their process. We can show you how to determine the value of your investment or check ROI Robot Systems Calculator Tool. However, a robot integrator with experience will reassure the real investment and reduce cost by guiding you throughout the entirely process. 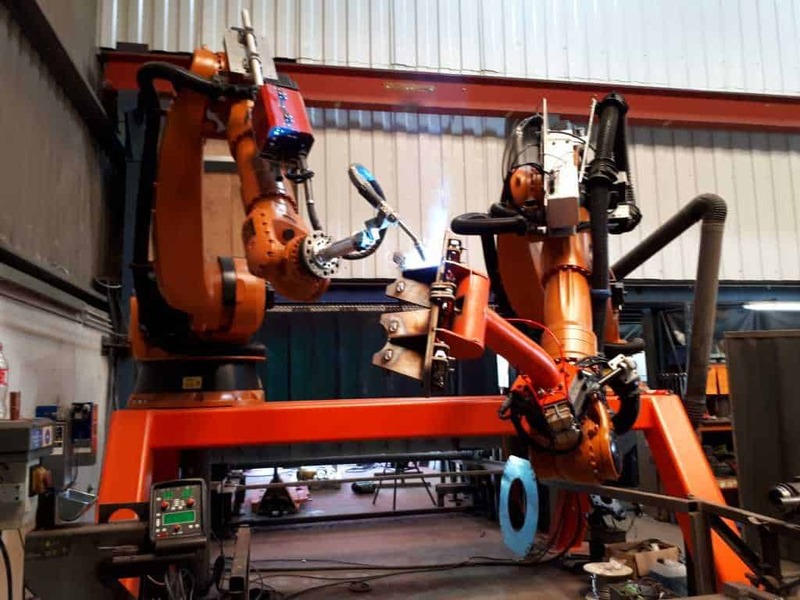 There are some key considerations to ensure that the robotic welding system is appropriate for robot automation process such as selecting the right robot system based on the payload and the reach required, physical space and training welding operators. Above all, robotic welding systems help companies gain the best efficiencies and the fast return on investment. It is crucial to choose the robot that best fits you by consulting with your system integrator. Parts move through the system more quickly and routines set for the robotic welder. As a result, it will increase the production. Robot welding place the same quality welds in the same spots, with minimal human error. Lower production costs by reducing labour requirements. You can have a good welder supervising the work of several automated cells instead having to find and train a lot of welders for the job. Robotic systems can tolerate much harsher work environments and they can operate at higher amperage. 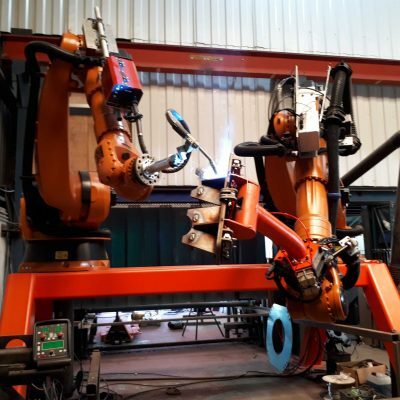 Phoenix, integrates and installs complete Robotic welding solutions from initial design and consultation to manufacturing, bespoke in-house software programming, installation, commissioning, training, and technical support. In addition, we manufacture Industrial Control Panels as well as the industrial electrical design and installation.